The Pojo Forms plugin allows building unlimited forms with the Drag & Drop interface, with which you can easily build well-designed forms for your site. Simple and creative. First of all, navigate on your dashboard to Forms > Add New > Name your new form. A regular field which is usually used for inserting general details, such as: Name, address or general content that doesn't require more than a few words. This field is for the user's email address, and it adjusts the mobile's keyboard accordingly by adding the @ key. This field is also adjusted to writing from left to right in RTL sites as well. This field is very useful, especially for longer content such as a "Message". You can set the height of this field that will be displayed in the form, while its default height is: 5 rows. 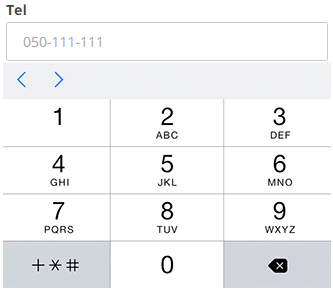 The telephone number is especially useful for mobile, clicking the field opens the phone keyboard. In this field you can add different selectable options. You can choose whether all the checkboxes will be marked or not, or whether the field will be displayed verticaly (by default) or horizontaly. This field is similiar to the checkbox, but with you can only select one option. The drop-down (also called Select) field allows you to add a drop-down menu of selectable options. You can set the first option as blank. This field is for entering digits only, and you can set its minimum or maximum number. In this field you can add a site URL. Allow users to upload files to forms they submit, by adding an "add file" field to the form. The file will be automatically uploaded to the directory uploads/pojo_forms in the website's server, and a link to the file will be included in the sent form. The default files allowed for upload are: jpg, jpeg, png, gif, pdf, doc, docx, ppt, pptx, odt, avi, ogg, m4a, mov, mp3, mp4, mpg, wav, wmv. You can customize the files you wish to allow for upload, as well as limit the maximum file size. This field is set to always be displayed in the original code, which allows full compatibility to all relevant accessibility rules. Aside from the design settings that we've added to the form, you can always add your personal touch by adding a CSS Class. The 100% field width will spread across the entire form width, while 50% allows you to place next to it another 50% field. This way you can build a two-column form. We recomend that at least one field in every form would be a required field, so you won't recieve any forms that are empty or missing relevant details. The text placed in this field will be displayed inside the field in the form. This allows adding instructional text to the field. With the shortcode ID you can set various parameters for sending via email. You can read more about it in the Form Options guide.